Here are some of the best cooking appliances sales and discounts on the internet today. Looking forward to spiralizing all your summer produce? OK, maybe not all. But if zoodling is in your near future, consider this Kitchen Active Spiralizer Spiral Slicer , which is on sale today for $5.97 (down from $19.99). If you've ever been at a loss over how to pry foil wrapping from your favorite bottle of wine (without breaking a nail amirite? ), this GoBetter Wine Foil Cutter is the gadget you've been looking for. You can get two (one for a friend!) today for $7.99 (down from $18.99). 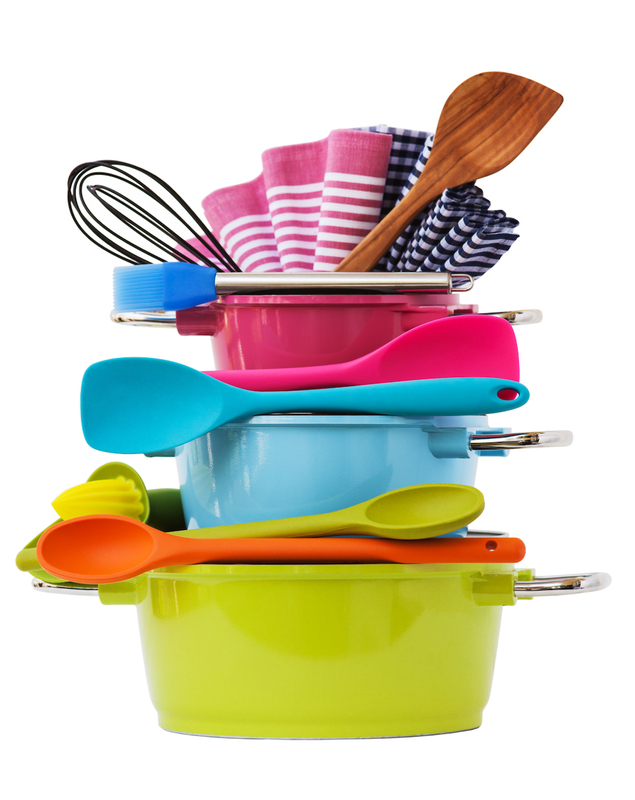 Kitting out a kitchen with all the must-have gadgets and utensils has never been more affordable. If you know a new grad who is looking for a full set of cooking tools, consider gifting them this: Kitchen Cooking Utensils with Built-in Stand, Set of 6 which is on sale for $21 today (down from $49.95). (The stand will help them keep it all organized). Here's an inexpensive gadget that will help you froth milk for your fancy coffees. The BlinkOne Milk Frother is on sale today for $14.99 (reduced from $23.93). Making a chopped salad at home doesn't have to be an exercise in vegetable histrionics. This clever Salad Cutter Bowl lets you pop your veggies in, invert it over a salad bowl, and chop through the grating. Voila! Chopped salad. It's on sale today for $10.06 (down from $19.99). If you're one of those people (or know someone) who loves it when all their small storage containers match, consider this eight-piece set of Cook N Home Spice Bottles , which lets you see exactly what you've sealed inside. The set is on sale today for $12.99 (down from $19.99). If you use wood cutting boards, consider replacing them every few years. This Lifewit Glue-Free Bamboo Cutting Chopping Board/a> is extra-large (18" x 13") and is on sale today for $14.99 (down from $49.99). There aren't a lot of fruit-chopping experiences that are as satisfying as coring a pineapple all on your own. This Stainless Steel Multifunctional Pineapple Corer, Peeler and Slicer will help you achieve pineapple-coring nirvana (and it can also be used on apples and other fruits). It's on sale today for $12.88 (down from $29.99). I try to include one decorative just-for-fun pretty item on this list every day and today's is this set of Talking Tables Truly Scrumptious Floral Paper Doilies , which come from the U.K. and will help dress up any afternoon tea party (or children's tea party!). The set of 24 is on sale today for $7.07. You guys, I don't know if you know this, but canning is kind of a big deal through summer and fall. It's a great way to capture all the freshness of your local produce and save it through the winter months. But to can, you'll need the right tools. Start stocking up now! This Presto 7 Function Canning Kit is on sale for $14.01.